The Writers Guild of America's vote on a new Code of Conduct for agencies came to a close Sunday, and it was a landslide— 95.3% "yes." More than 50 percent of the guild's 15,000 members voted. Writers argue that agents have a conflict of interest, when it comes to packaging deals and their common practice of serve as both production companies and agencies for projects, which writers say keeps them from fighting as strongly for higher pay. It's all very complicated, but you can read more about the dispute between agents and writers in depth here. SO WHAT DOES THIS VOTE MEAN? The vote authorizes WGA leadership to impose the new code after the current agreement with the agencies expires on April 6. If that happens, and the agencies don't agree to follow said code, all the writers in the guild would essentially be forced to fire their agents. The vote is also considered to be a tool for Writers Guild leadership to use in negotiation, helping to strengthen their position by showing support of their members. Both sides appear to be deeply dug in on their positions. The vote doesn't mean the Guild will definitely put the code in place after the April 6 deadline— progress in negotiations could keep that from happening — but their public statements indicate that they most likely will. Even if the code does get put in place (leading to a the above-mentioned mass firing of agents) that doesn't mean those agent relationships will be over forever. It's expected that, if writers do fire their agents, that would be a temporary move. The idea is the firing would ratchet up pressure on both sides of the bargaining fence, but when all is said and done, those writers could potentially go back to their agents, once a deal is (ideally) reached. 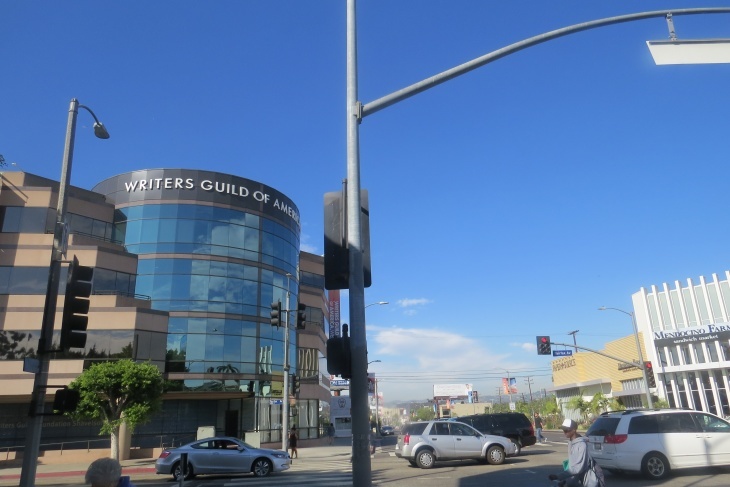 The Association of Talent Agents responded to the WGA vote in a statement: "Now that the WGA is past its vote, we look forward to getting back into the room to work through an agreement that serves the best interest of writers, respects their individual choice, and prevents unnecessary disruption to our industry." The WGA didn't issue any further statement (beyond the results of their vote).